Green Mailing tubes constructed of 3 ply Kraft paper. Supplied with friction fitted white end plugs. 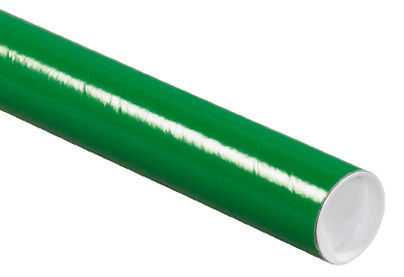 Green Mailing Tubes sizes are listed as inside usable space, actual shipping tube length is greater.